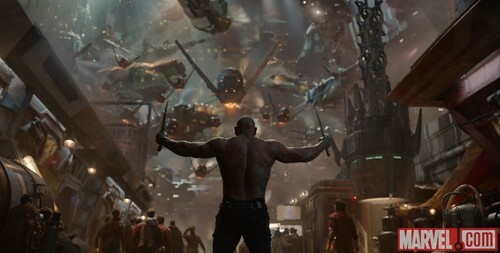 Drax The Destroyer. What in the world is he thinking?. HD Wallpaper and background images in the Guardians of the Galaxy club tagged: photo guardians of the galaxy drax 2014. This Guardians of the Galaxy photo might contain 브라 세리 and 식당.